Star Wars fans, prepare to punch it on down to Sydney's Powerhouse Museum in November — and prepare to come face to face with 200 original objects from the popular sci-fi franchise at Star Wars Identities: The Exhibition. You might have to wait more than 12 months until Star Wars: Episode IX reaches cinemas late next year, but you can spend your days from November 16, 2018 until June 10, 2019 perusing the items that helped make space opera movie magic happen. Coming to Australia for the first time, that includes costumes, props, models and artworks from the Lucasfilm archives, complete with a galaxy's worth of favourites — think BB-8, R2-D2 and the Millennium Falcon just for starters. Get a glimpse of Yoda, you will, circa Star Wars: Episode V — The Empire Strikes Back. You'll also feel the power-hungry menace radiate from Darth Vader's suit from Star Wars: Episode VII — Return of the Jedi. Star Wars Identities is also an interactive exhibition, with creating your own unique character also part of the experience. If you've ever felt as though you should be hanging out in a cantina somewhere on a remote planet, here's your chance to answer a heap of questions, work through a series of stations and find your inner Star Wars hero. You won't need to use the force — rather, you'll receive a smart technology bracelet and a headset to use while you're in the exhibition (but if you want to say that you're using the force or even want to give midi-chlorians some credit, no one will stop you). 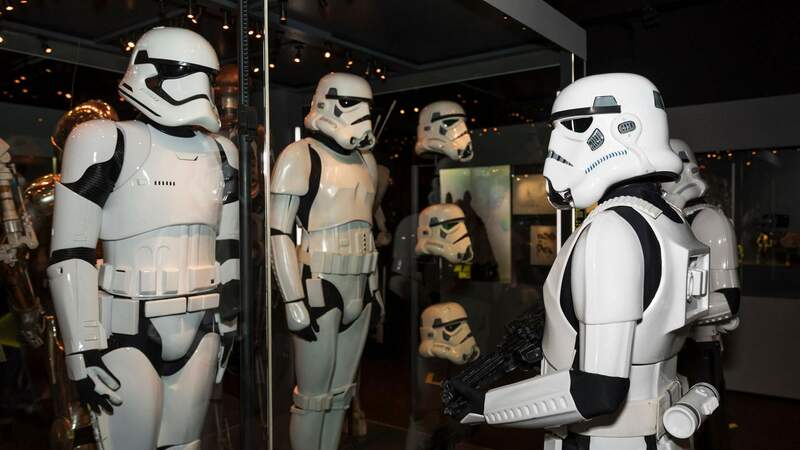 The Powerhouse Museum is no stranger to Star Wars shenanigans, having hosted a weekend's worth of May the Fourth fun earlier this year. For those already planning their costumes for this 90-minute experience, you're welcome to attend as Han Solo, Leia Organa, Luke Skywalker or whichever other character you'd like — but helmets and masks will need to be left in the cloak room, and you'll also need to leave your lightsabers at home.